SID2 is an automated, 24.0 khz (NAA, Cutler Maine) radio receiver and antenna system located near Yarker (outside of Kingston) Ontario Canada. 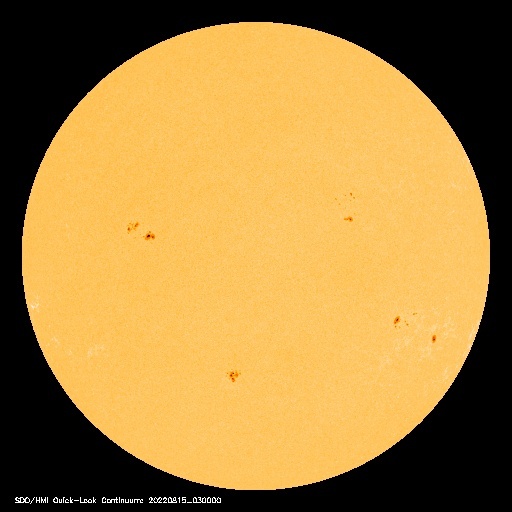 It takes readings of solar flux signal strength once every 10 seconds, 24 hours a day. Currently tuned to 24.0 khz (NAA Cutler Maine). We start the program just after 00:00 UT time. Each graph is a 1280x1024 .PNG file at about 40kb. The data archive contains the raw text data, after being renamed from the original file name. The filename format is: sco-yyyymmdd-hhmm_ss.txt. The image archive contains all of the graph data. Ours is 1280x1024 pixels but it is still hard to identify time of events. Perhaps vertical lines? We are tuned to the megwatt transmitter in Cutler Maine (NAA) at 24.0khz. In the late 1940's, the U.S. Navy realized that they needed a high powered, low frequency, transmitter on the U.S. east coast which could broadcast to the North Atlantic and Arctic Oceans for communication with submarines. A radio transmitter was established in Cutler, Maine, for this purpose and it has been in operation since 1961. One fringe benefit is that this 1 million watt transmission at 24 kilohertz can be detected across the continental United States. The signal is very sensitive to the state of the Earth's ionosphere, because, at this frequency, it it is actually piped close to the surface of the Earth during the daytime. Several other VLF stations operate around the world, but Cutler provides the strongest daytime signal in this area. Each day at 0 hours Coordinated Universal Time the data from the previous day are placed in the data archive, the latest complete plot is saved in the plot archive, and a new record is started. Each plot should show a signal which varies erratically during the night, but is smooth and steady during the day. The transition at sunrise and sunset is a very distinctive rise and fall pattern. 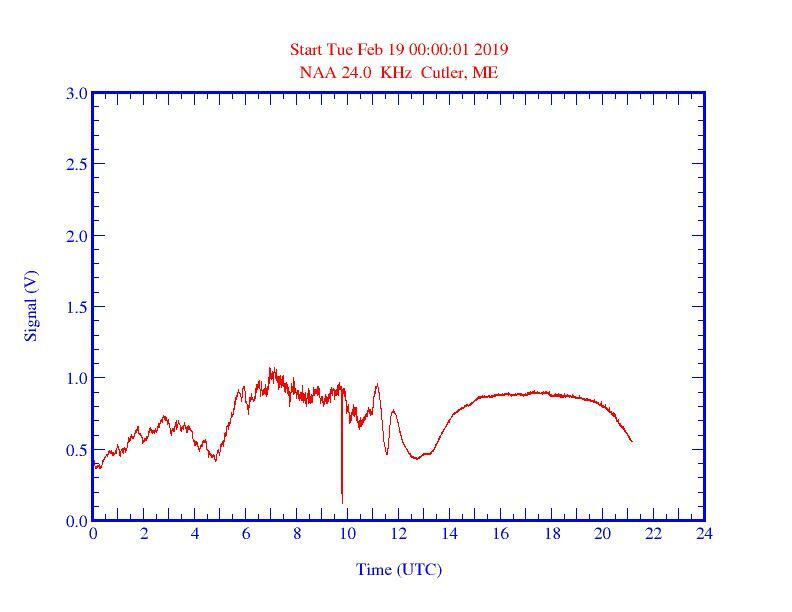 When a flare occurs, the prompt X-ray emission from the Sun modifies the ionosphere and produces a sudden enhancement in the very low frequency 24 kilohertz radio signal from Cutler, Maine. Records of this type are kept by several amateur astronomers who coordinate their efforts through the American Association for Variable Star Observers. From Wikipedia: The D layer is the innermost layer, 60 km to 90 km above the surface of the Earth. Ionization here is due to Lyman series-alpha hydrogen radiation at a wavelength of 121.5 nanometre (nm) ionizing nitric oxide (NO). 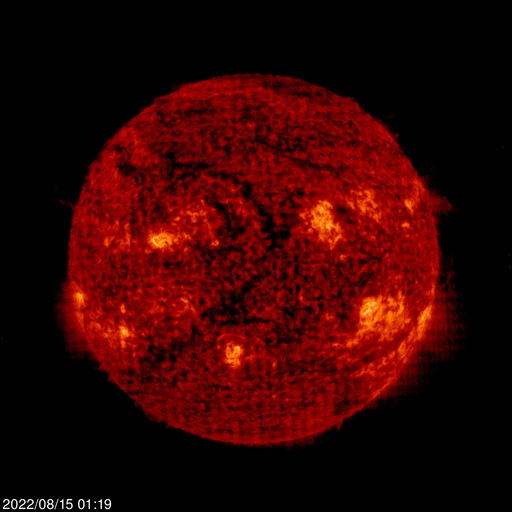 In addition, with high Solar activity hard X-rays (wavelength less than 1 nm) may ionize (N2, O2). During the night cosmic rays produce a residual amount of ionization. Recombination is high in the D layer, the net ionization effect is low, but loss of wave energy is great due to frequent collisions of the electrons (about ten collisions every msec). As a result high-frequency (HF) radio waves are not reflected by the D layer but suffer loss of energy therein. This is the main reason for absorption of HF radio waves, particularly at 10 MHz and below, with progressively smaller absorption as the frequency gets higher. The absorption is small at night and greatest about midday. The layer reduces greatly after sunset; a small part remains due to galactic cosmic rays. A common example of the D layer in action is the disappearance of distant AM broadcast band stations in the daytime. During solar proton events, ionization can reach unusually high levels in the D-region over high and polar latitudes. Such very rare events are known as Polar Cap Absorption (or PCA) events, because the increased ionization significantly enhances the absorption of radio signals passing through the region. In fact, absorption levels can increase by many tens of dB during intense events, which is enough to absorb most (if not all) transpolar HF radio signal transmissions. Such events typically last less than 24 to 48 hours. http://www.nishiyama.tzo.com/radiotel/ The Daedalus Solar Radio telescope is an automated, 40khz radio telescope located in Calgary, Alberta, Canada. 2015 June 08 - OUT OF SERVICE... not getting reliable results and Supersid is now operational. 2015 June 07 - moved the antenna from inside the garage to the outdoors with a clear view to the east as we were still not getting results consistent with receiving a signal from transmitter NNA in Cutler Maine, USA. 2014 March 25 - installed a new low power computer (40W) out in the garage (Windows 7 , 1.6GH Atom processor, 2GB ddr2 RAM) and also moved the SID2 antenna, receiver and data logging multimeter out as well. This put some distance between it and the radioroom computers and equipment that put out a lot of RFI, plus removed the USB extension cables needed. The gain was adjusted as we seem to be getting a better signal. If you eliminate the left and right edges of the graph, they do seem to match up events nicely with the moondog graph. 2013 November 18 - another short power failure around 02:30 EST on Monday November 11th, 2013. The system was reset incorrectly on November 12th and finally fixed on November 14th. The multimeter was incorrectly set to autorange and was flipping between volts and milllivolts. 2013 June 25 - power failure in the morning shut down the radioshack data logging multimeter.. resulting in another days loss of data. 2013 April 16 - found major data processing glitch affecting graphs going back for at least a month. First good new graph should be out after 8pm local Wed April 17th. The raw data is not affected, only the processing from the raw data to image format. 2013 March 17 - replaced the 6 year old radioroom computer with a newer faster one. A few days of data will be missing as we reconfigure the data scripts. 2013 January 16 - setup antenna indoor in room next to computers in the hopes of reduced RFI. Receiver and radioshack multimeter also in room close to antenna. Using the meter to usb adapter and then a 5m active repeater usb extension. First 24 hours working well, meter not going to sleep, software not crashing etc. (RS Meterview v1.0). data is being logged as mv and we want V so we will have to crank up the gain on the receiver until the voltage readout switches from millivolts to volts. 2012 November 12 - had some issues with various scripts and timings due to the change from Eastern Daylight (UT-4) to Eastern Standard (UT-5) time. Some data not graphed for a week? or so. Still not getting the data we are looking for. The system will be taken apart and taken outside for some field tests away from the house. 2012 August 21 - still working on calibration, troubleshooting, automation scripts etc. Still not producing a recognizable sunset or sunrise signal pattern. 2012 August 15 - still not getting real signal data. Found some good examples of what we should be getting from the SuperSID manual. Will go back and check antenna, wires, etc. 2012 August 08- The data saving/resetting routine should now be working automatically. We use a program called ghostmouse to record a mouse macro of mouse clicks on the probram Meter View 1.0 Basically the mouse macro clicks on STOP, SAVE, CLEAR BUFFER, START. This saves the data file to our local linux file server for more processing as today.txt at 00:00UT A few minutes later a linux script comes along and copies the data file but strips out the time AM/PM and V from the voltage level. After that a python program comes along and generates a graph from the row of voltages. Then we annotate the image with some more information and upload it to this web server. 2012 August 06 - the antenna is moved from the west wall to the south wall. The receiver gain is reset to give a 500mv reading just before sunrise.